Whenever I put the tSQLt database on a server, I make sure that I make one change to a stored procedure that ships with tSQLt. The reason for this is that we run our tSQLT tests as part of our automated build process. If any of the tests fail, we developers who are part of that particular project will get an email telling us what the results of the tests were. 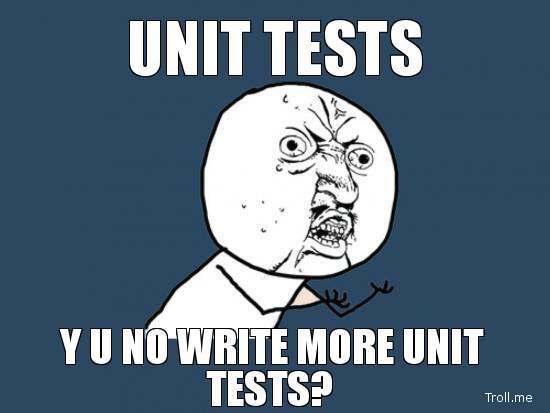 The main proc that runs the unit tests always returns 0, I need a way to know if any tests failed or not, if we had failures, we want the email to go out, if there were no failures then we don't want the email to go out. I added the stuff on lines 9 till 11. I am checking if there were any tests that failed, these tests will have a result of Failure. If any tests failed, the stored procedure will return -1. Now we can easily check this value to determine if we should send the email or not. I could have also checked if there were any tests which had a result which was not Success instead. A test could also have a status which is Error, you will get such a status if for example an object doesn't exist in the database. There you have it, this is the change I made. Maybe you had the same problem and this will help you as well.